Integrating our litigation & Consultancy distinguished experience with the most recent technology and Quality Control/Quality Assurance procedures makes MADKOUR LAW FIRM one of the most reliable law firms with expertise in complex cases of all types. MADKOUR LAW FIRM distinguishes itself through its work ethic and professionalism. 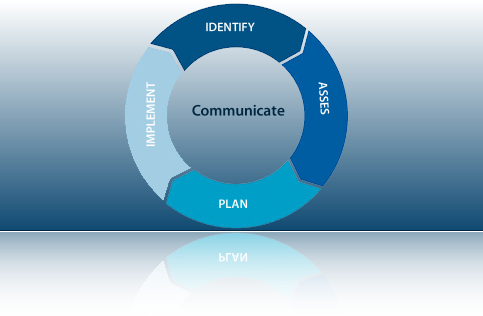 Our approach begins with identifying needs and objectives, followed by an analysis phase and strategy. At the end of the cycle, quality control is initiated to confirm the validity of the work with the initial plan. The client is involved in each stage of the process, and nothing is vague or ambiguous. Stage 1: Upon receiving an assignment, the Office Manager along with the Operations Head holds exploratory meetings – if necessary - with the Client to fully understand the objectives and terms of reference of the assignment. Stage 2: We diagnose the requirements of the client & the problems and/or obstacles he is facing. From an analysis of key elements, we identify the solutions and propose which way and how long we can execute the service required. Stage 3: Assignments are distributed to different departments based on the nature of the Case/Query and forwarded to lawyers based on their special expertise. They are required to prepare the necessary STUDY, set up the adequate STRATEGY and determine the parameters to complete the assignement. Stage 4: The parameters of the scope of work are then agreed upon and approved by the client, along with anticipated time frame for the completion of assignment, the professional charges & the judicial expenses, mode of payment and the other terms and conditions involved, to make sure that the start-up and completion of assignment are achieved to the entire satisfaction of the client. Stage 5: We put all the necessary elements together, always applying Legislative knowledge and appropriate measures to accomplish the diagnosed objectives and implement the agreed strategy. Stage 6: With the approbation of the client and his comments and/or clarifications, each assignment is performed and completed. Stage 7: Assignments are reviewed and edited by the Management Team who will supervise all aspects of the work accomplished to ensure accuracy and consistency of service required in addition to compliance with the clients' requirements. Stage 8: The assignment is delivered according to pre-set priority schedules, based on client requirements. It can be delivered in hard copy or in any electronic form, as required. Stage 9: Our work does not finish when one specific Assignment is delivered. We execute the Proactive Monitoring, from a rigorous control of measures, to diagnose possible Legislative amendments, Jurisprudence & Administrative Regulations update that will raise even more the satisfaction of our Clients.